I’ve previously blogged about my experience eating at KAKA All You Can Eat for their dinner service. You can read about the experience here. This time, I went to KAKA All You Can Eat during their a la carte lunch service which is from 11:30 a.m. to 3 p.m. on Monday to Fridays. KAKA All You Can Eat is located at First Markham Place in Markham on Highway 7 near Woodbine Ave.
On this visit, Clarissa and I arrived for a late lunch. We arrived just before 2:30 p.m. and the owner (I remember meeting her last time) told us that the kitchen would be closed from 3 p.m. onwards but that we could still sit there to finish the food. We were fine with that. 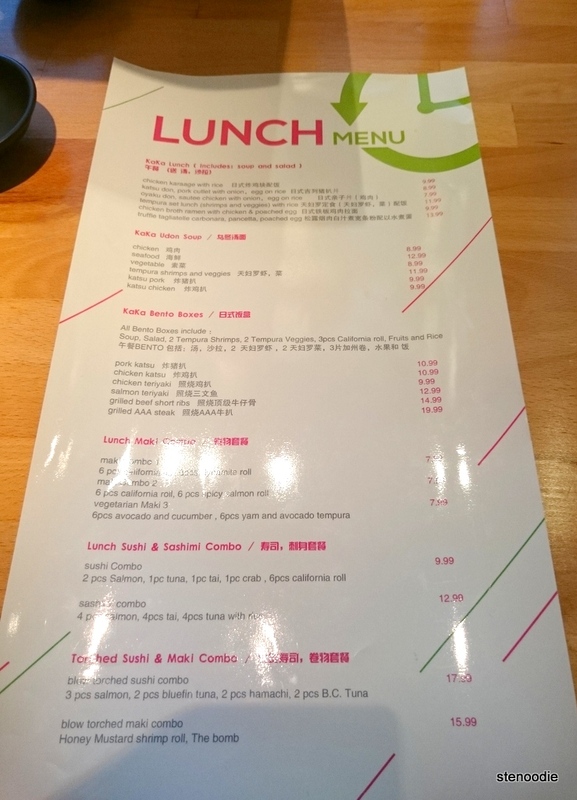 When I looked at their lunch menu, it reminded me immediately of the lunch menu that they previously had at Sense Modern Japanese (the Japanese restaurant that existed before they rebranded it as KAKA All You Can Eat). 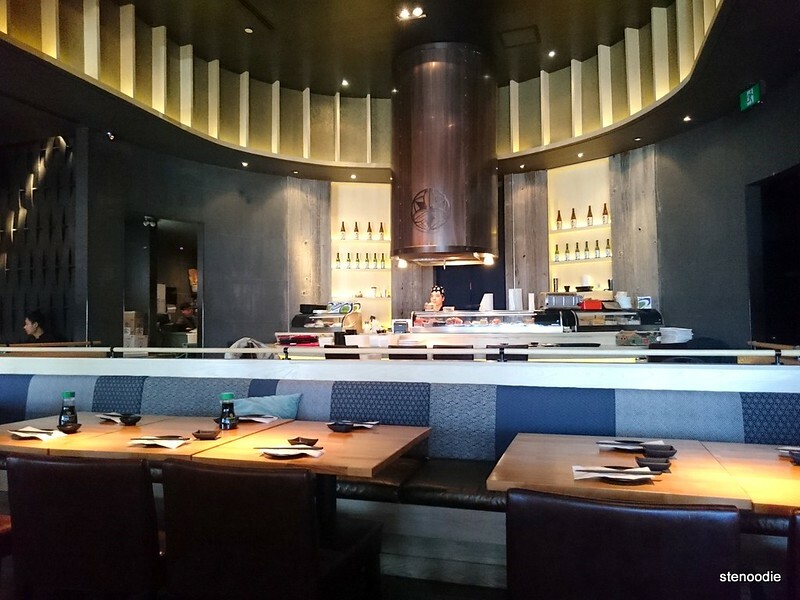 You can view the review I had for Sense Modern Japanese here and see if you agree with me. Nevertheless, I was in the mood for some sushi and I ordered the Combo B which contained a California roll and a spicy salmon roll. 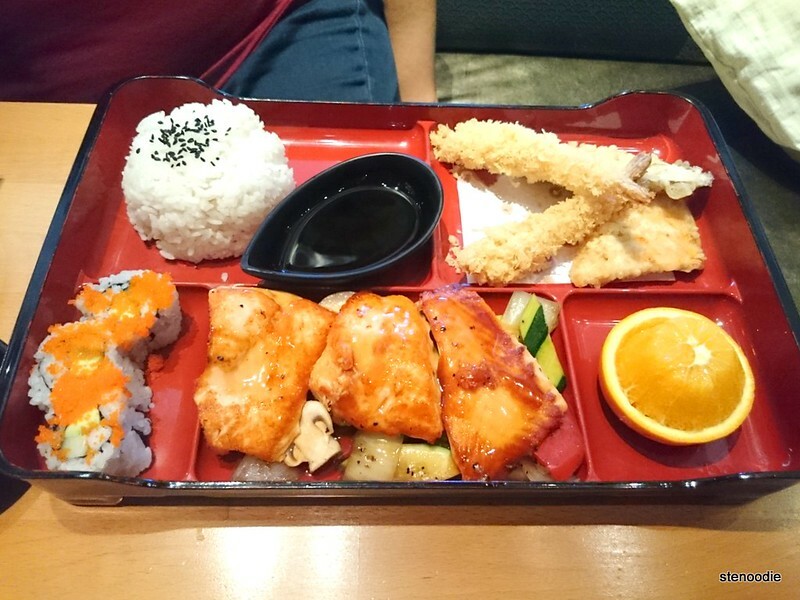 Clarissa ordered the generously portioned bento box which included teriyaki salmon, tempera, California rolls, rice, and an orange as a dessert. Hers was actually very nice and included so much food! If I wasn’t craving sushi, I would have probably ordered hers too for the value that it came with. The California roll and Spicy Salmon Rolls looked nice. However, I don’t think that the sushi tasted as great as the time that I came here for their dinner service. 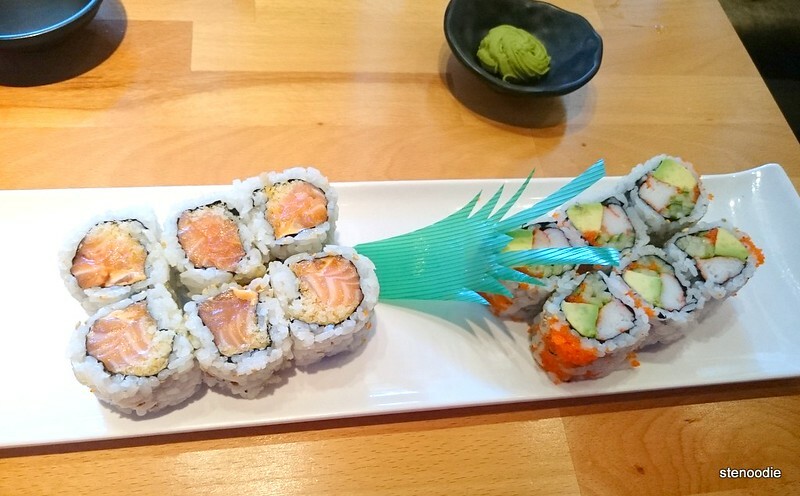 The California Roll tasted pretty frigid. The ingredients must have been taken out of the refrigerator shortly before it was assembled (or assembled and then placed into the fridge) because it tasted so cold. 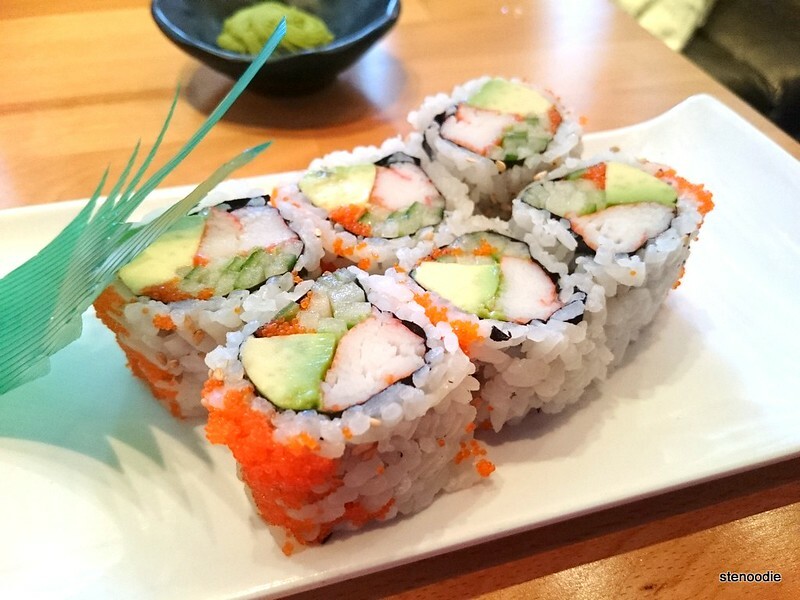 I like sushi rolls at room temperature…. 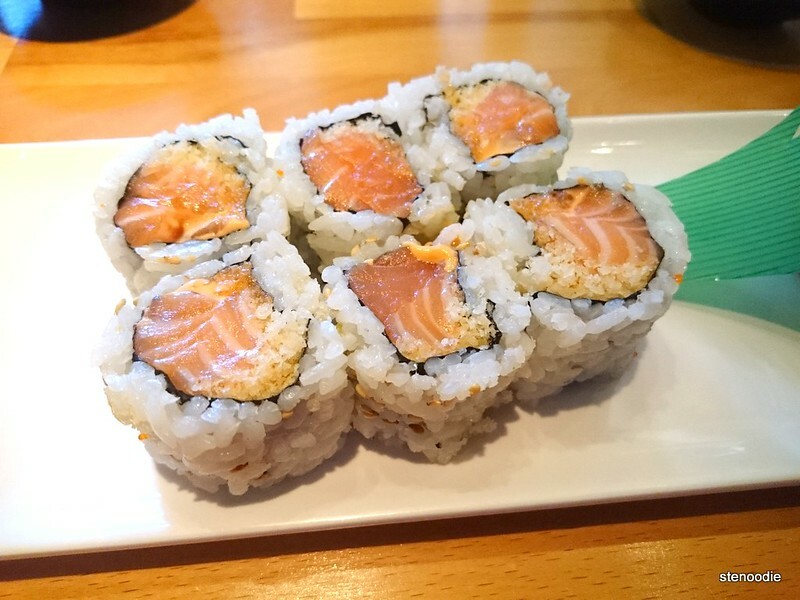 The Spicy Salmon Roll was decent but I wished it was more spicy and flavourful. Clarissa really enjoyed her bento box though and she also ordered some take-out for her family members for later in the day. I think KAKA All You Can Eat is a great place to go for lunch if you are in the First Markham Place area but perhaps stick with their bento box or cooked items. Other than that, their dinner service is exceptional and you get to order the food from an iPad and the choices were amazing! 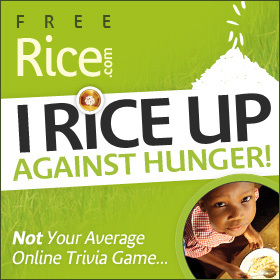 Have you been to KAKA All You Can Eat for lunch? What was your experience like? Oh, and one more thing I wanted to point out is that because we were there for lunch quite late (arrived at 2:30 p.m. and kitchen closed at 3 p.m.), I wasn’t very fond of the approach that the server used to “kick” us out of the restaurant. He approached us shortly after 3:30 p.m. and informed us that they were preparing for their dinner service at 4:30 p.m. We asked him, “So you want us to leave?” and he said “Yes”, because they had to rest. I understand that the restaurant staff needs to rest for their dinner service but I think he could have been a little more professional and pleasant when informing us. This is a minor thing, but details matter. 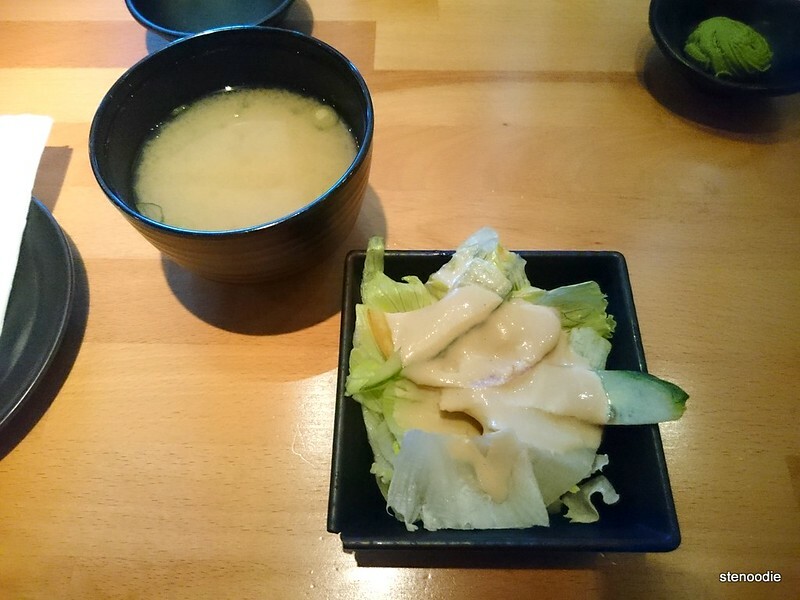 This entry was posted in Food and tagged 3235 Highway 7E Unit 18A, @kakaayce, a la carte sushi lunch in Markham, does KAKA All You Can Eat have a lunch menu, First Markham Place, food blog, foodie, Japanese, KAKA All You Can Eat, KAKA All You Can Eat lunch menu, kaka lunch menu, Markham, restaurant review. Bookmark the permalink. Looks delicious!! 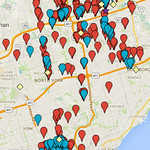 Makes me want to go and try heehee – soon I hope! Thanks!! Hope you get to try soon too!